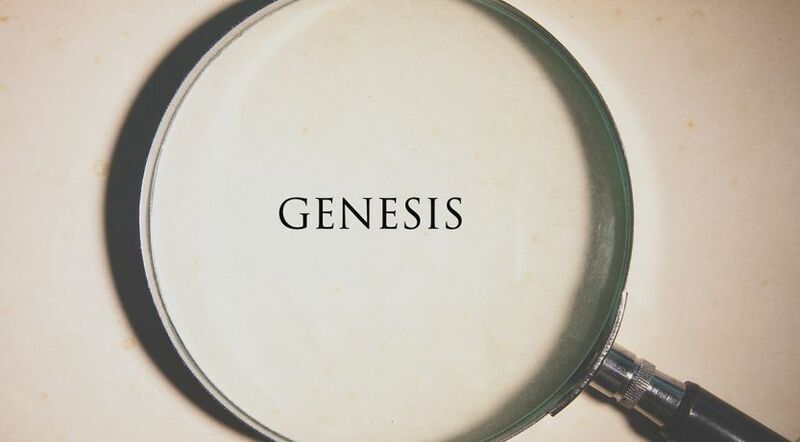 Genesis takes us back to the very beginning. It introduces God as Creator and gives a glimpse into the origin and purpose of His creation—including humans. The name Genesis is applied to the first book of the Bible, which is also the first book in the Pentateuch (Genesis, Exodus, Leviticus, Numbers and Deuteronomy). The Jews refer to this set of five books as the “Torah,” which means “teaching” or “instruction.” In English it is known as the “Law” (Matthew 5:17; Luke 16:17; Acts 7:53). The English name Genesis comes from the Greek Septuagint and means “beginning” or “origin.” The Hebrew title of the book comes from the first word Bereshith, which means “in the beginning” and is found in the first verse of chapter 1. The book is about the origins or beginnings—the history—of mankind. The first book of the Bible shows the beginning of earth, the beginning of man, the beginning of marriage, the beginning of the seven-day weekly cycle and the Sabbath, the beginning of sin and its consequences, the beginning of human government, the beginning of nations and the various languages, the beginning of the nation of Israel and so on. The first 11 chapters record the history of the world prior to Abraham (also referred to as the primeval period). Four of the chapters are about Noah. Most of Genesis illustrates God’s involvement with the descendants of Abraham, starting with the call of Abram (later called Abraham) in chapter 12 to the death of Joseph in chapter 50. Genesis 2:7; 1 Corinthians 15:45. Genesis 21:10, 12; Hebrews 11:18. Eve’s deception by the serpent: Genesis 3:4-5 and 2 Corinthians 11:3; 1 Timothy 2:13-14. Abel’s sacrifice: Genesis 4:4 and Hebrews 11:4. The destruction of Sodom and Gomorrah: Genesis 19:24-26 and Luke 17:29, 32; 2 Peter 2:6; Jude 7. Abraham’s offering of Isaac: Genesis 22:9-10 and James 2:21. Esau’s despising of his birthright: Genesis 25:33 and Hebrews 12:16. Many of the examples of faith in Hebrews 11 are from Genesis. Chapters 1-2: In the opening verse we are introduced to God the Creator. In Hebrew the word translated “God” is the Hebrew word Elohim, which is a plural noun and means “supreme,” “strong” and “almighty” (Strong’s Exhaustive Concordance #430). Elohim often denotes a plurality of divine beings: “Then God said, ‘Let Us make man in Our image, according to Our likeness’” (Genesis 1:26, emphasis added throughout). A further example is Genesis 3:22: “Then the LORD God said, ‘Behold the man has become like one of Us.” The New Testament reveals that this refers to God the Father and the Word, who became Jesus Christ (John 1:1, 14). What did God do at the end of the creation week? “And on the seventh day God ended His work which He had done, and He rested on the seventh day from all His work which he had done. Then God blessed the seventh day and sanctified it” (Genesis 2:2-3). On the seventh day, God performed His final, concluding act of creation by resting from the work He had done on the previous six days. This is the origin of the weekly day of rest later referred to as the Sabbath. God intended that each week we set aside the seventh day to meditate about and worship Him. It is a day set apart (“sanctify” means to set apart for a holy purpose) for us to grow closer to God through personal prayer, study of the Bible and attendance at Church services (Hebrews 10:24-25). The story of the creation shows the supremacy of God’s superior intelligence, power, authority and knowledge (Psalm 104:29-30). As Creator, He has absolute control over everything. Chapter 3: Adam and Eve were offered the tree of life but instead chose the tree of the knowledge of good and evil. The result has had widespread implications for mankind ever since. They usurped the authority of their Creator and chose to try to decide for themselves what is right and wrong. The apostle Paul explained that it was through the first man, Adam, that sin entered the world, and sin that is not repented of results in death (Romans 5:12; 6:23). Chapter 4: Cain became the first murderer by killing his brother Abel and, as a result, “went out from the presence of the LORD” (Genesis 4:16). What a tragic outcome for Adam and Eve. However, it was their choice and decision to reject God’s ways in favor of the ideology of Satan. Unfortunately, Satan continues to negatively influence mankind today (2 Corinthians 4:4, Ephesians 2:2-3). Chapter 5: This chapter gives the genealogy of Adam. Chapters 6-9: These chapters describe the corrupt antediluvian world, resulting in God instructing Noah to build an ark. The flood begins and then ends with the Noachian Covenant. Chapter 10 records the table of nations of those descended from Noah. Chapter 11 describes the construction of the tower of Babel, the confusion of the languages and the genealogy of righteous Shem. Chapter 12 introduces God calling Abram (later named Abraham). Abram is an outstanding example of faith and trust in God. He was instructed by God to leave his home. “So Abram departed as the LORD had spoken to him” (Genesis 12:4). As a result of his faithfulness, Abram was promised profound favor (verses 2-3), as God promises to bless those who seek to obey and please Him today (1 Corinthians 2:9). Chapter 13 deals with the separation between Abram and Lot, which gives further evidence of Abram’s faith that God would bless him under all circumstances. God reiterated and expanded His promise of national and spiritual blessings (Genesis 13:14-17). Chapter 14 introduces the law of tithing. Abram understood that tithing was a divine law instituted by God, and that it was a law he should obey. He was known to obey all of God’s laws and commandments, including tithing: “Abraham obeyed My voice and kept My charge, My commandments, My statutes, and My laws” (Genesis 26:5). What a striking example for all Christians! Chapter 17: At age 99 Abram’s name was changed to Abraham, which means “Father of a Multitude.” The promises to Abraham were further magnified to include a multitude of nations and kings. As a token of His covenant with Abraham and his descendants, God instituted circumcision. Chapters 18-19: The degeneracy and debauchery of Sodom and Gomorrah and the other cities of the plain are highlighted. Chapter 20: The interaction between Abraham and Abimelech (king of the city of Gerar) over Sarah is described. Chapter 22: God tested Abraham by commanding him to sacrifice Isaac. Abraham did not hesitate to obey and journeyed to Mount Moriah fully trusting and believing that God knew what He was doing (Hebrews 11:17-19). Abraham passed his severe trial of faith, an example of total trust in God’s faithfulness and promises. Chapters 23-26: Sarah died at age 127 years, and Abraham purchased land at Machpelah for her burial. Abraham, Isaac, Rebekah, Jacob and Leah were also buried there (Genesis 25:9; 49:30-31; 50:13). Abraham sent his servant to Mesopotamia to find a wife for Isaac. Rebekah was selected by God and returned to marry Isaac. Abraham died at the age of 175 years. Esau foolishly sold his birthright. In Hebrews 12:16 he is called a “profane person” (showing disrespect for that which is important). Chapters 27-31: Because of Jacob’s deception of his father Isaac, he was forced to flee from the wrath of his brother Esau. He traveled to the land of Padan Aram and to Laban, Rebekah’s brother. He worked for Laban for 14 years to marry Leah and Rachel. Eventually Jacob left Laban and returned to his homeland. Chapters 32-33: Jacob and his company continued their return journey and camped at the River Jabbok. There a most unusual event occurred: During the night a supernatural Being wrestled with Jacob; and because of his perseverance and unwillingness to give up, Jacob’s name was changed to Israel, meaning “Prevailer with God” (Genesis 32:24-30). Chapters 34-35: Dinah’s violation resulted in her brothers Simeon and Levi using trickery and deceit to take revenge. Rachel died giving birth to Benjamin, and Reuben lost his birthright after committing adultery with Bilhah, the mother of his brothers, Dan and Naphtali. Isaac died at the age of 180 years (Genesis 35:28-29). Chapters 36-47: Chapter 36 records the family line of Esau. Most of the remaining chapters of Genesis deal with the life of Joseph. However, the account of Judah and Tamar in Genesis 38 interrupts the story flow of Joseph’s life. The incident ends with the birth of twin sons, Perez and Zerah, to Tamar. In Luke 3:33 and Matthew 1:3 we read that Perez is the son of Judah through whom Jesus was descended. Many people have heard the story of Joseph being sold by his brothers as a slave into Egypt, and how he was taken from prison (where he was kept for many years) and placed over all of Egypt under the Pharaoh. After 22 years, Joseph was reunited with his brothers when they were sent by Jacob to purchase grain in Egypt. Joseph was reunited with his father when Jacob (Israel) and his family settled in Egypt. A list of the names of family members who accompanied Jacob is given (Genesis 46:8-26). Genesis 49:1-28 details Jacob’s last words to each of his 12 sons. Future prophecies and blessings are pronounced on his sons. Jacob’s death is recorded (Genesis 49:33). Chapter 50: The deaths of both Jacob (Israel) and Joseph are mentioned. We can learn various lessons from Joseph’s example. Despite enduring many hardships, afflictions and misfortunes, Joseph continued to obey and trust God even when his circumstances and future looked bleak. He believed that God would ultimately work things out for his good (Romans 8:28) and that he would not be tried beyond what he could endure (1 Corinthians 10:13). In Genesis 39:9 Joseph states, “How then can I do this great wickedness, and sin against God?” Part of repentance is coming to understand that sin is against God (Psalm 51:4), and this understanding should be the primary motivation to avoid and to root sin out of our lives. Increasingly, the Bible seems irrelevant to many in the Christian world, and it is being rejected as a source of life, hope and truth. This results in further instability and hopelessness in our society. On the other hand, God promises to take special note of those who study His Word with an attitude of respect and reverence (Isaiah 66:2).